Susie is the reason I don’t jam pack my operating lists to maximise revenue. 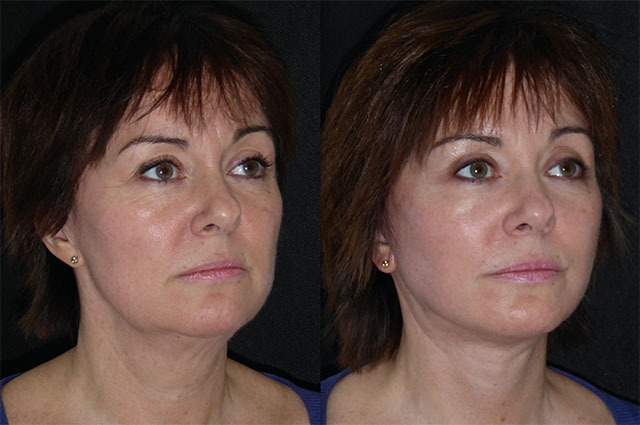 To get closer to the result she desired, I needed the luxury of time to meticulous dissect out her scar tissue, liposuction and sculpt, lift and repair. 5 hours later I gave her a mirror so she could glimpse her new neck before I bandaged it up. These photos are taken the morning after about 12 hours later. She is going to look fantastic! 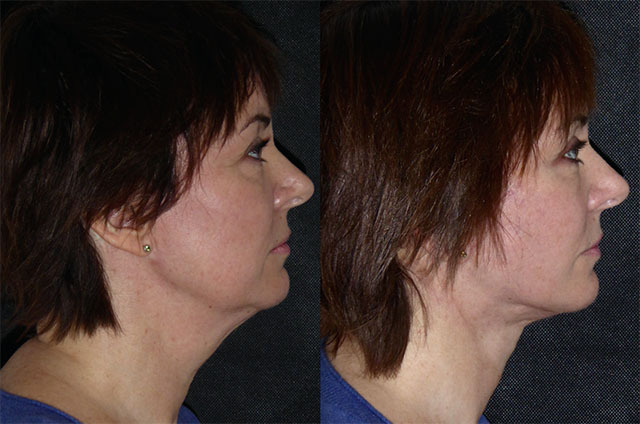 Her face shape is as defined as possible and her neck line is awesome. 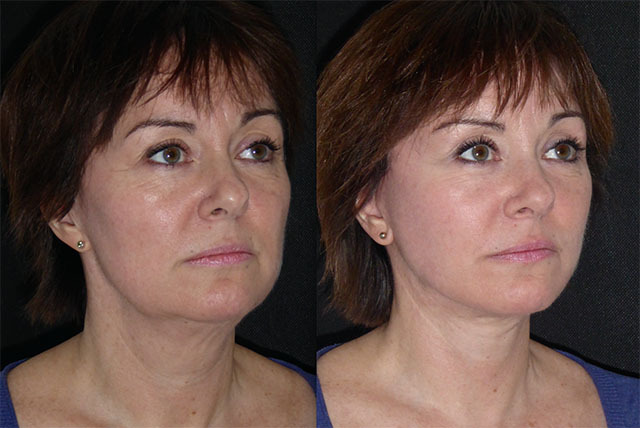 Jowl volume now sits comfortably in her mid face as seen on the 3D analysis below. Susie will be bruised and has a fortnight's recovery ahead, but I am confident that this will be the start of a brilliant new chapter for her. 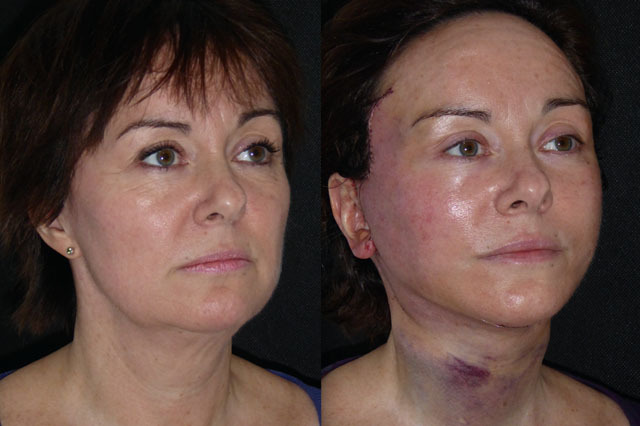 A week is a long time in facelift recovery. Susie is back for removal of her stitches and looks fantastic but only a few days ago her eyes were swollen closed and she probably wonder what she (and I!) had done. She is doing really well, and not just looking rejuvenated but beautiful. 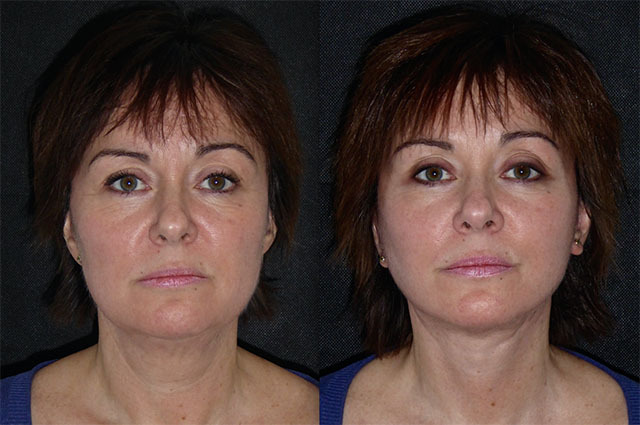 Her revolumised mid face improves her lower eye shape and her neck line is looking perfect. 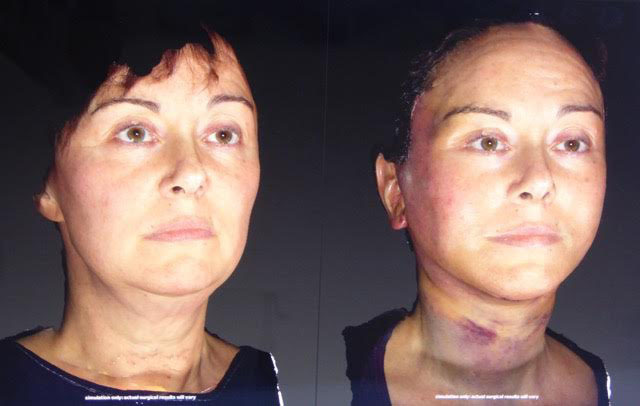 Still some way to go for her swelling to subside but she is well on the way, Bruising considering this was revision extensive lateral and under chin compartment surgery is far less than I expected. Really looking forward to seeing her again in a few weeks. 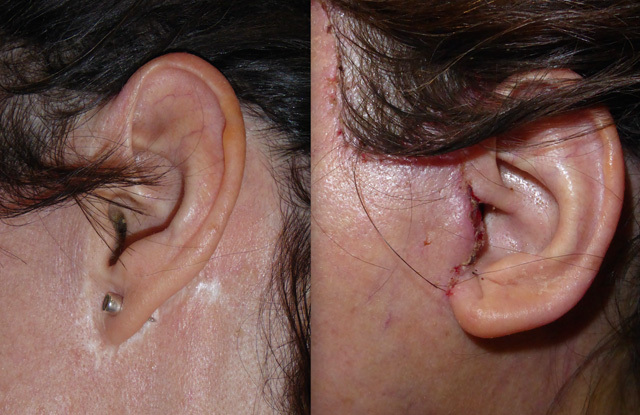 Below is a picture of Susie’s new scar position a week out compared with the preop scarring. 4 weeks after surgery Susie is back for review looking absolutely wonderful. Quite besides the change in physical appearance I am always warmed by the real change in affect. Susie appears a little more confident but charmingly bemused by the change in her appearance. It will need a little adjustment to believe that she is now even more beautiful. The area in front of her ears is still harder and a few lumps persist in the neck but these are softening and will gradually reduce as she continues to heal. Her scar line is already hard to see and healing beautifully. 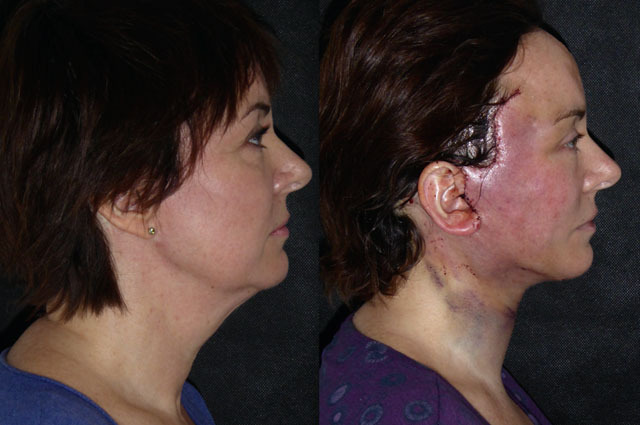 Her earlobes are reconstructed and curve naturally. 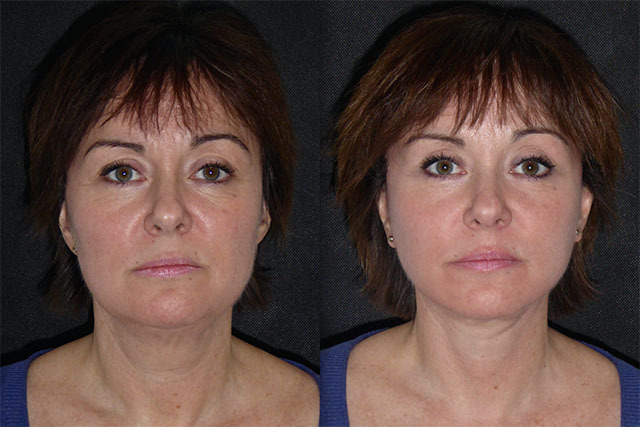 The 3D analysis below really brings our the change in facial contour achieved. 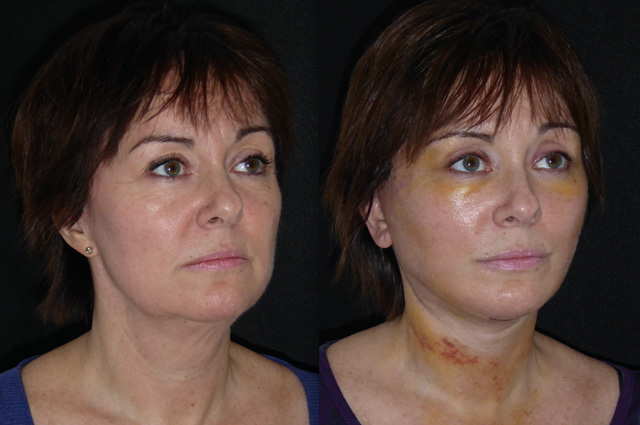 It is such a pleasure to see Susie again 3 months after her revision face and neck lift, platysmaplasty and lateral temporal brow lift. She looks absolutely fantastic. 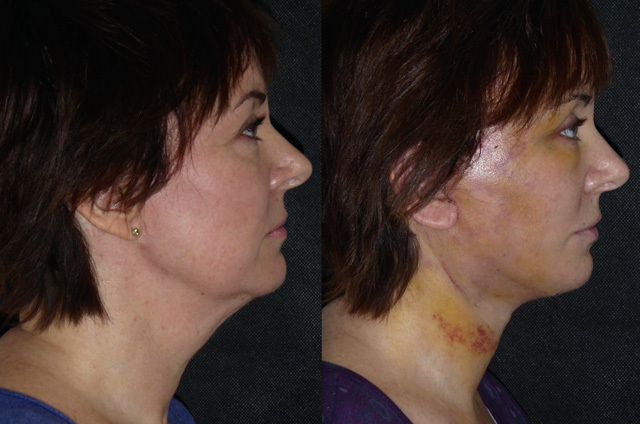 Her lift is holding well with very little relaxation and her scars have healed beautifully (below). 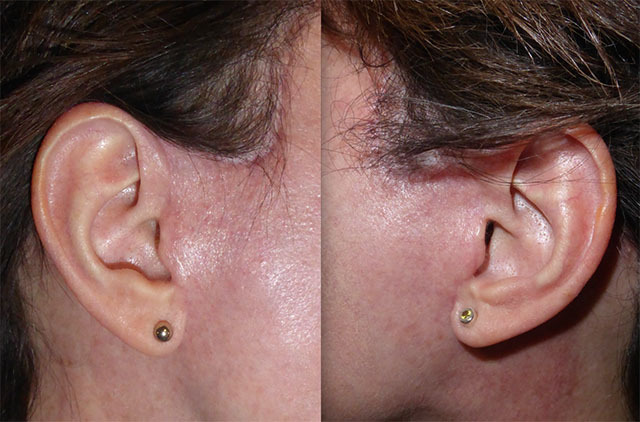 A lovely improvement on her previous visible scarring and distorted earlobes. 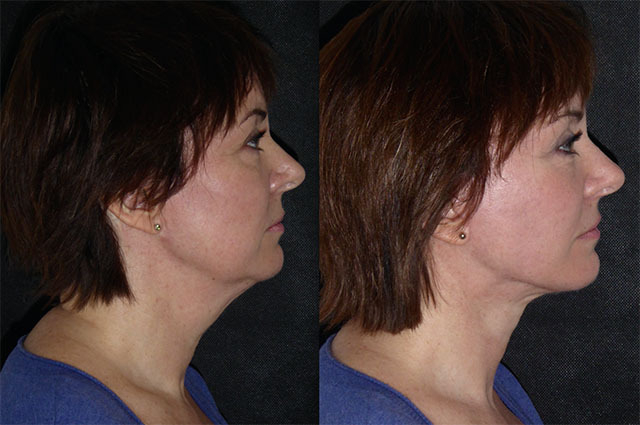 Her jowls have gone and her volumised mid face and lateral brow lift really improves her under eye hollowing on profile view. 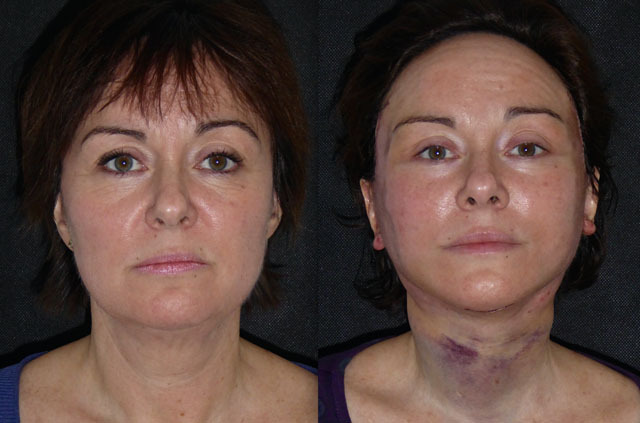 Susie has some hardness in the midline neck muscle repair but this will soften as she continues to heal. 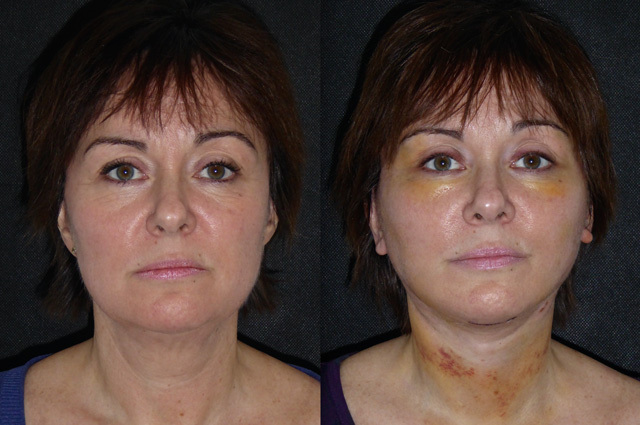 We will encourage its resolution with some manual lymphatic drainage over the next few weeks.